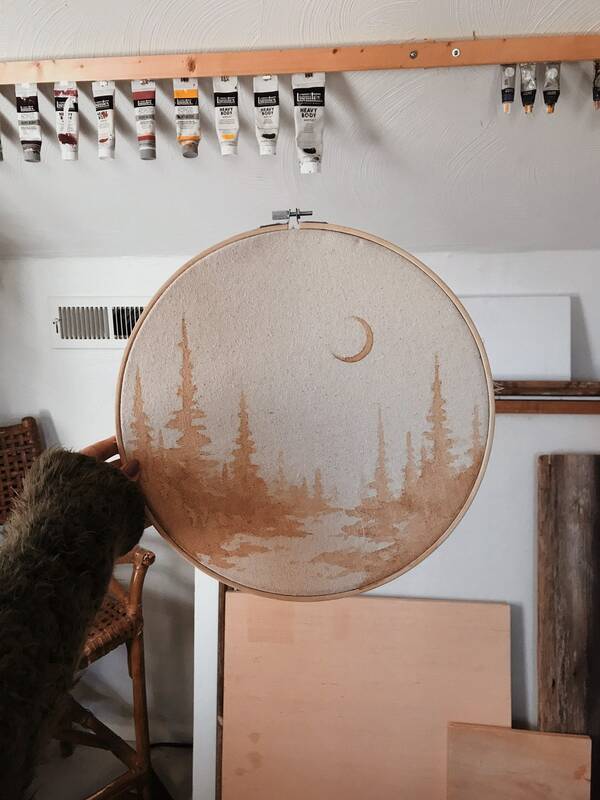 These are hand painted in a watercolor style BUT with coffee! 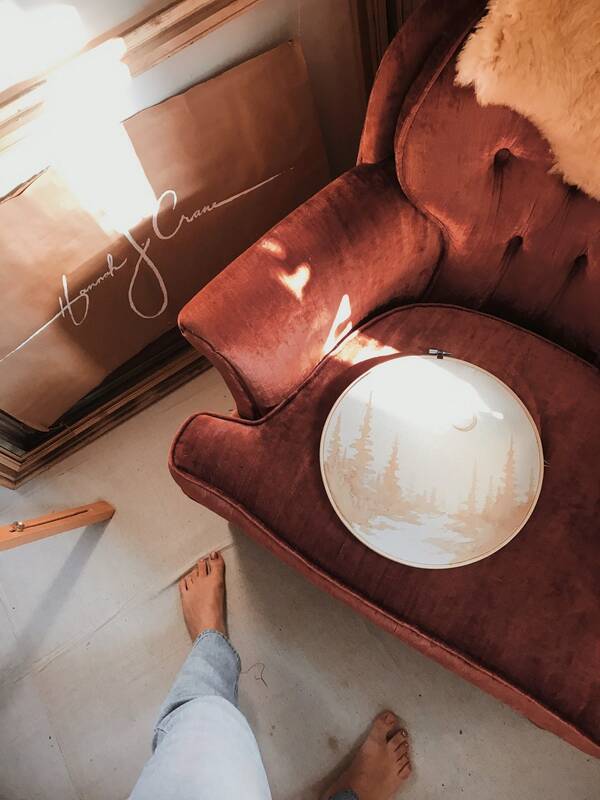 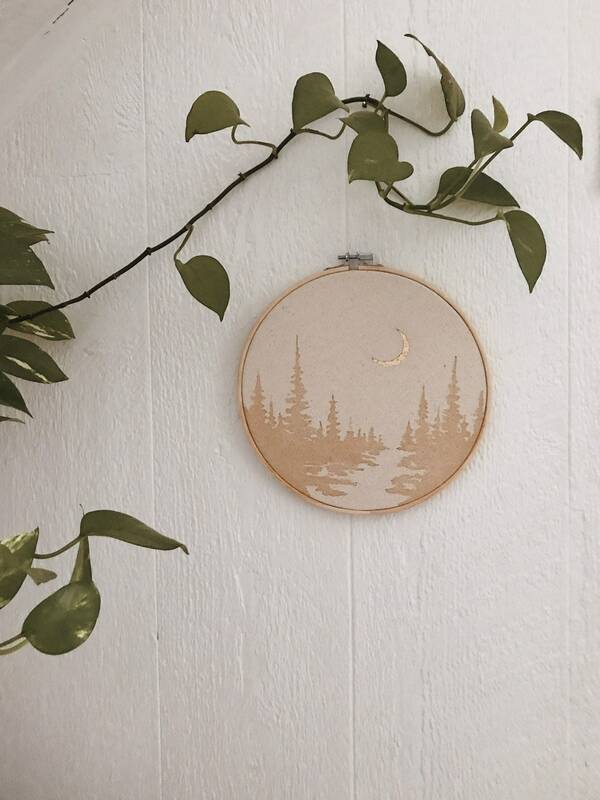 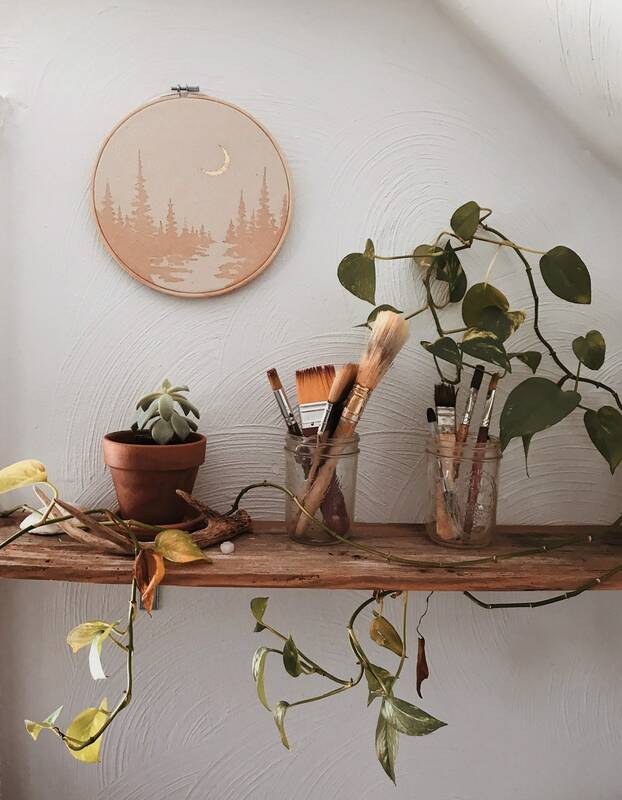 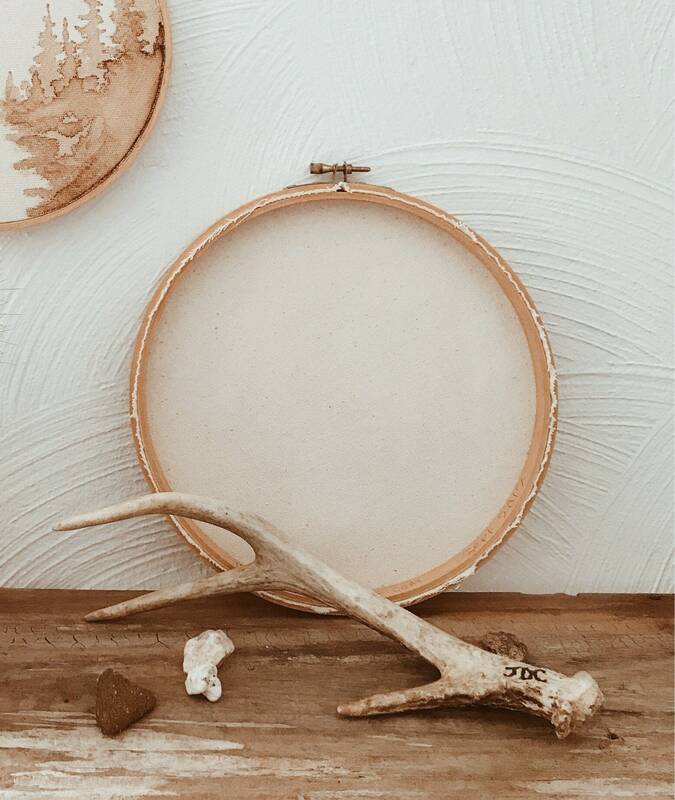 It’s made with raw canvas stretched in a wooden embroidery hoop. 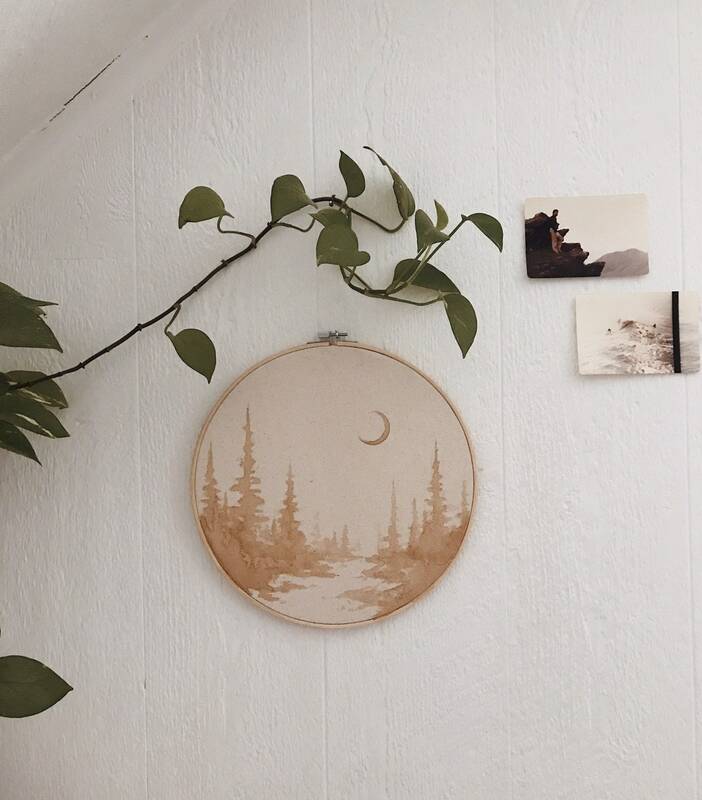 It’s very easy to hang up and might even still smell like coffee. 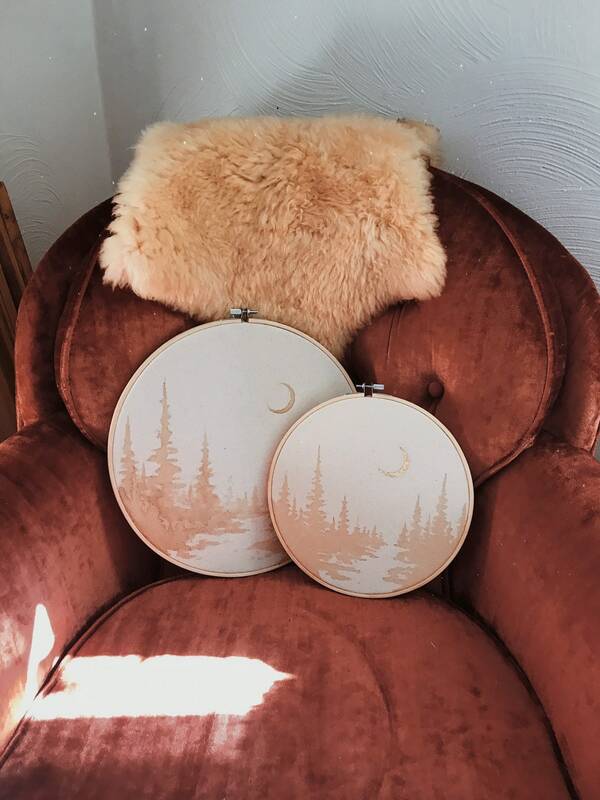 Two new sizes available - 12" as 8"